YouAreWatchingUs was founded in 2006 by Timm Burkhardt, Ramon Grendene and Kai Meinig. In 2010 we faced several changes. Ramon moved back to Switzerland and Kai went on to work on his own label ByKaiM. 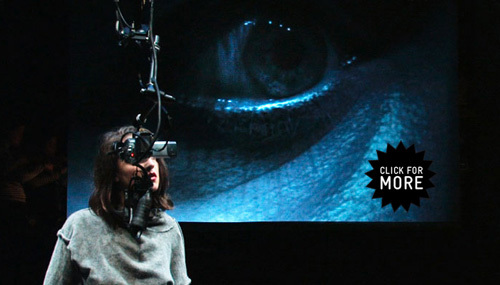 Now the YouAreWatchingUs team is working together in two studios, Weimar and Zurich. Our work is based on a multidisciplinary approach that combines Graphic, Corporate and Book Design, Typography, Illustration, Motion, Interactive and Installation Art. If you are interested in our work, you can see some projects on the right side or read the news. The German Theater in Göttingen invited Timm Burkhardt and Julian Hetzel to develop the video concept for their opening performance after the summer break. The approach was to create an immersive and interactive live video setup that challenges the perception of conventional theater productions and to make room for the audience in a comprehensible process. To visualize the illusory world imagined in Ibsenʼs piece, which involves a network of lies, we used five cameras on stage to record, loop and film live – rather than conventional pre-produced video sequences. 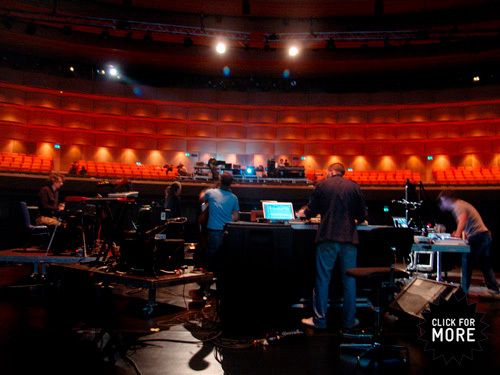 In the end a special program was written that enabled control of the complexity of all cameras and projections on stage by the theaterʼs technician. 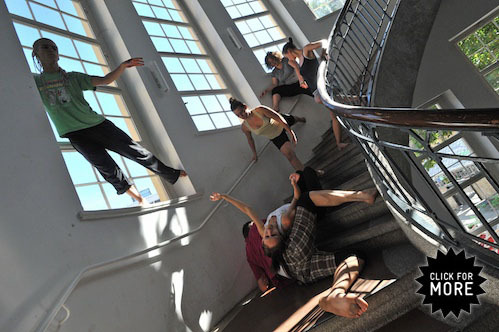 An integral part of the Weimar Annual Arts Festival (Kunstfest) is the Dance Media Academy (TanzMedienAkademie). This year’s topic of the festival was “Space in Movement”. Alongside Stefan Kraus, Marc Sauter and Björn Jung, Timm Burkhardt participated in teaching one of several two-week long workshops in theory and practice on interactive media at the Bauhaus-University Weimar. After the workshops, dancers from Poland and Frankfurt came along to develop ten different video/audio/dance performances with students. All experiments were opened to a thrilled public, which after the performances had a whole new meaning of movement in space. Our part of a dream team consisting of Sven Miller/Director, Ayman Harper/Choreography, Claudia Voigt/Assistant Choreography, Susanne Winnacker/Dramaturgy, Rasmus Baumann/Conductor, Vera Koch/Fitments and Albrecht Ziepert/Production was to create an interactive stage video installation for the dance production “Grenztänzer” at the German National Theater. In order to use scanners as an integral and moveable part of the dance performance, we revised our preENTER setup by creating six separate units, connected to our live-video setup by WLAN. After an extensive time of seven weeks of rehearsals the day of performing came to light. Accompanied by the Staatskapelle Weimar, 124 teenagers from different social backgrounds and six scanners surmounted spatial, physical and social barriers against a background of John Adamʼs Harmonielehre. The goal of bringing young people together without prejudices and to learn and finally melt together as a collective ensemble was reached. It was an amazing time and we are grateful, that we could have been part of this dream. Thank you all! We were invited to play an audiovisual live-set in the context of a closing ceremony of the three day long conference “Beratung mit Geist” at Zinzendorfhaus Neudietendorf. 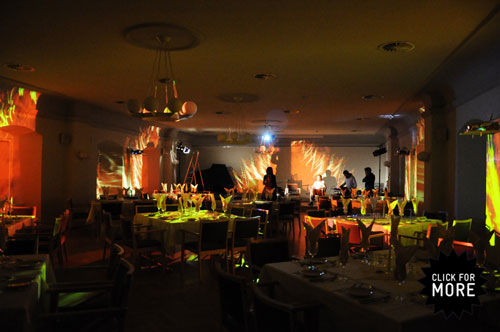 As the evening had similarities to our performance “delikatESSEN” at Omarillio 2009 we planed the dinner with an adjusted concept that was based on the four elements: water, wind, earth and fire. For every course we performed with the interrelated ingredients. Scanned, looped and multiplied on our preENTER setup – the slow motion scenery melted the entire room into an atmospheric dream, accompanied by sound collages and text fragments. We would like to thank Claudia Nehls for the wonderful sound loops, Matthias Ansorg and Karsten Müller for the unexpected reader experience and Christine Ziepert her belief in our progress. We convinced our good client RAlpin not to spend money on silly christmas presents but to give it to charity. The business partner needed to know about the good move (Which by the way is the actual claim of the company) so we made a nice card. Ramon Grendene took over the process of designing the catalogue »Geliebte Masse – Porzellane Geschichten« in the context of Laura Straßerʼs solo exhibition at GotheStadtMuseum Ilmenau. Edited by Kathrin Kunze and Silke Opitz the fifty-six-page catalogue shows recent works of Laura's delightful porcelain objects. 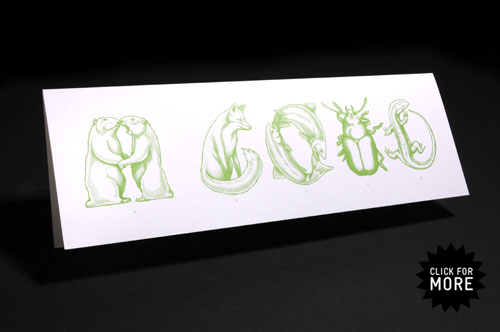 Its visual appearance and form is reduced to an interpretative language. Inside, by using the aspect of piling porcelain and the reflection of growth by setting generally the type from the bottom up – and outside, by using old Chinese porcelain patterns, an open stitched binding, as well as an imprint containing Lauraʼs reflections on her hand worked objects. Go and get the book directly from Laura Straßer or from the publisher and distributor Kerber Art Verlag. 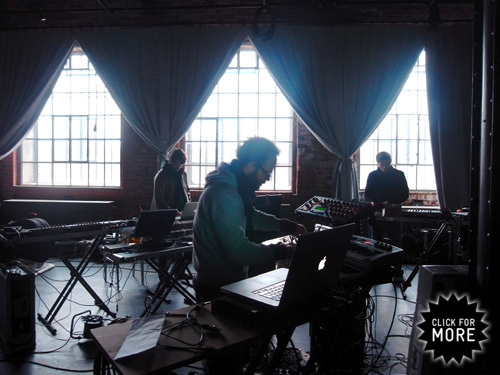 Our part-time project with the band Pentatones went back to the playground for one week. In collaboration with Centraltheater Leipzig we had the opportunity to act at Spinnwerk Leipzig. A unique space that is part of the famous »Baumwollspinnerei« popularised by Artists of the Leipziger Schule. Various experiments with materials that are related to the place (cotton threads and long rolls of paper) took the project to a more performative level. To break up the common concert structure of older »preENTER Sessions« we worked on a more open storyline that is comparable to an atmospheric dream in which sounds and visuals finally melt closely together. For the first time and in the context of the exhibition »Vom Labor zum Projekt« at Neues Museum Weimar we showed 128 selected images from the 40.000 image strong preENTER archive. 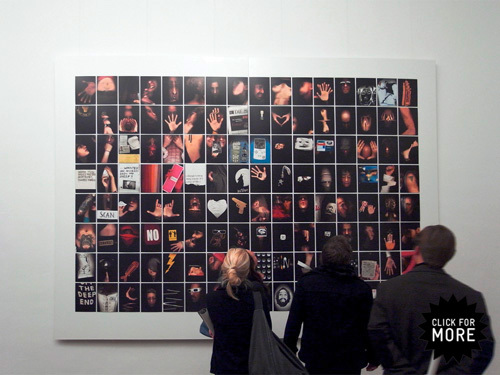 The images were collected at many different »preENTER Sessions« around Europe over the course of the last few years. As the video installation has been conceived to intentionally keep an open dialog, without the addition of a closing statement, we selected the images by place and by the way that they contributed to the individual compositions. Every half row exemplified one place. Together they built a collection, in the same sense that the scanner represents a mirror of a distorted but true reality, of the viewerʼs cultural background. Due to the overwhelmingly good feedback from the Monoculture premiere, and successive requests for its return, Timm Burkhardt and Julian Hetzel re-performed their expansive multimedia piece at E-Werk Weimar. In collaboration once more with the Deutsche National Theater Weimar but with some changes in the story and actors. This time we received support from the city council of Weimar, the ministry of education and cultural affairs Thuringia and the super fast realtime compositing system MX Wendler. Look for more on Monocultureʼs web page. Step by step all the components of RAlpinʼs Corporate Identity have been implemented. One quite complex step was to design and structure RAlpinʼs new web page, which KaiM did in collaboration with Frank of OM1 Media. 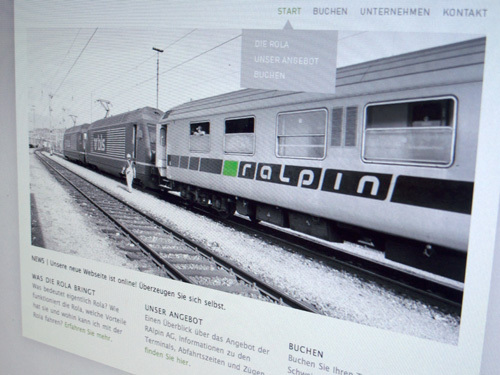 A fully CMS-Base allows RAlpin to edit their layout and content including multi-lingual information. Soon the users can book their shipment on-line as well as track their trucks by GPS to see place and outstanding journey time. Learn more about The Rolling Highway and see how RAlpin is changing the future of transporting goods through Switzerland. 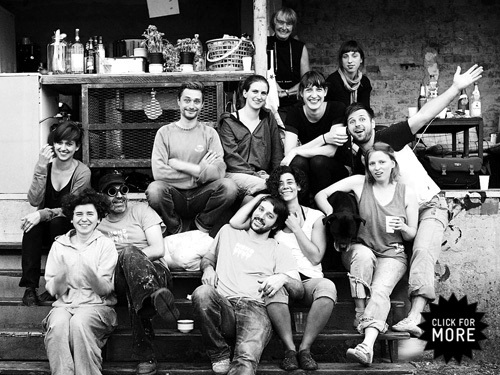 Omarillio 2009 is over and we are happy to announce that our Summer-Festival has been awarded the best socio-cultural project of 2009 by LAG Soziokultur Thüringen. The ‘KulturRiese’ prize was awarded for Omarillioʼs highly contemporary concept and for exemplary socio-culture work over the past three years. This year Omarillio organized several workshops that led to an exhibition period, which was followed by a week-long festival. The program included Ramon Grendeneʼs diploma performance ‘delikatESSEN’ in his extensive installation project ‘Cycle Study’, an excellent Swiss Film Program arranged by Qtopia, a phenomenal Live Video Karaoke Night in collaboration with Starring You, an Ecstatic Dance Night with Gruppe Favorit and last but not least our annual Open-Stage. Pause for a moment and checkout Omarillio. 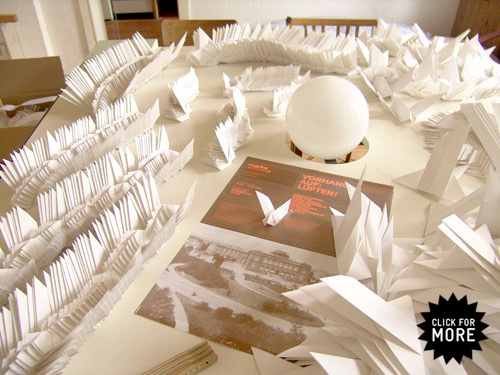 In January 2009 we were invited by the Edwin Scharff Museum in Neu-Ulm to install a second edition of our flying doves. 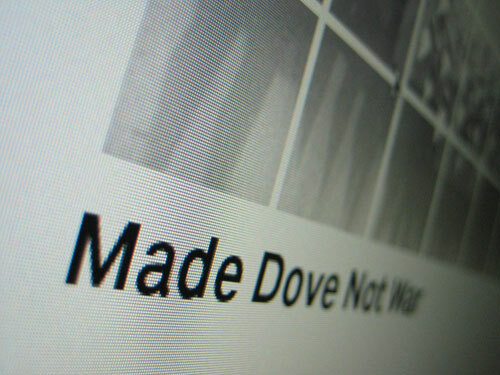 Similar to our first installation at Neues Museum Weimar – »Made Dove Not War Again« connects two exhibition floors and acts like a guidance system on the stairs. Accompanied by a swarm of doves the kids find their way to the second floor, entering an interactive labyrinth-like exhibition about family and community, made by the famous children's museum FEZ Berlin. In the context of the abstract images by German painter Ernst Geitlinger on the first floor, the doves can also be seen as a connection creating continuity between art and cultural experiences. Actually we are just drawing Crazy Apes or other 2D stuff also known as illustration. But when it comes to difficult, complex, realistic looking things and a client who wants a Pixar-look we cry for help around our network. 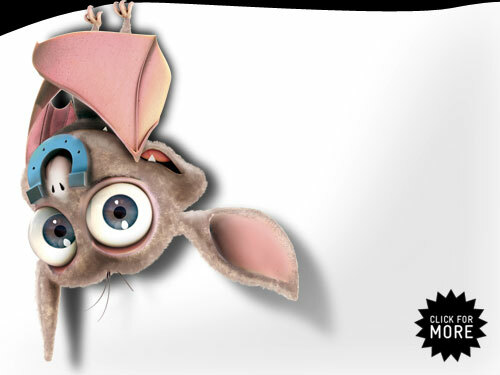 This time Daniel, from Peppermill Berlin, helped us to create the Radip PSR character Hufi Hufeisennase – one not so smart but quite famous bat. So after a lot of penciling we layed back and watched the magic of 3D technique and got really satisfied. 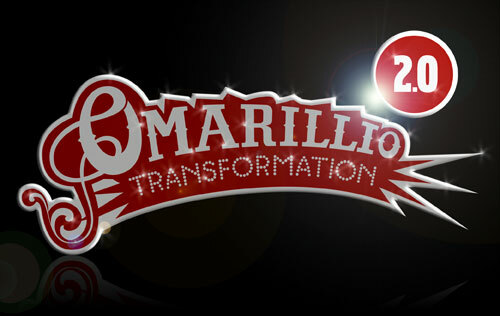 Finally after four weeks of hard work we are happy to announce the new Omarillio-Website for 2009. And it’s marvellous! Not that there are a few hundred monkeys jumping around – No! We designed and traced almost all of the type and we’re even Web 2.0 with our blog. Frank of OM1 Media helped us to figure out some fancy ways to do things we normally can’t code – like the shoutbox. 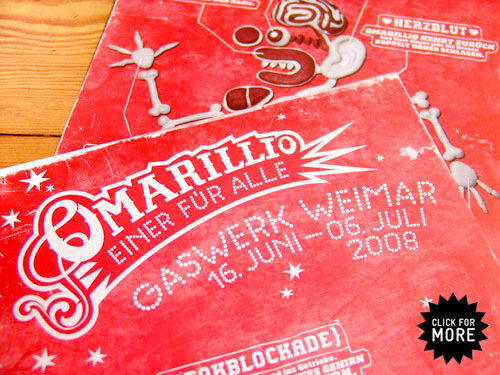 You are very welcome to enjoy Omarillio 2009 and to become part of our little Summer-Art-Festival that has been nominated by the KulturSPIEGEL for one of the best culture trendmarks of 2008. The famous Büro für theatrale Strategien and the Salonoper Chemnitz invited our Master Of Science Timm Burkhardt and Julian ›Schnigg‹ Hetzel from »Pentatones« to produce a stage adaption of »Der Tribun« by Mauricio Kagel. A timeless politic master piece for one actor: A politician who tries to appear convincing to his audience under the guise of democracy and peace, but his words are made out of fragments from famous dictators speeches. While Julian guided the audio part, producing sounds and real-time-sampling of the actors voice, Timm did the same with video! He wrote a special super fast Max MSP-Patch to sample and distort the camera on stage and to control everything in the background because the whole stage is one big projection. Homecoming for The preENTER Sessions after many many many performances all-over Europe we are back at the place where it all began. At the great opening night of 90 years of Bauhaus. See the fabulous pictures by Alexander Lembke on www.preENTER.de. While we are trapped in rain, YouAreWatchingUs’s Master of Science Timm Burkhardt is spinning through Spain to present and promote our new development called »Spinning Slides«. It is a new interactive system which consists of three simple screens that can rotate on it's magnetically mounted vertical axis. Each time you spin the screen around the content changes from one image to another. Videos and animations are also capable of being integrated. The intuitive handling produces an engaging haptic experience rather than simply turning the pages of a book. More information is coming soon. Behind schedule you can explore some images of Tricia Flanagan exhibition “Rural Part 1” at Hellen Rose Schauenbergers Laboratorium in Sydney. During autumn 2008 Ramon Grendene was collaborating with Tricia and worked on the exhibition concept, invitation card (see below), signage and on several videos that were used to show the theme of distances as well as to document the projects. The Laboratorium is inside an old warehouse, hosted by Hellen Rose Schauersberger, it was last used by the mounted police as horse stables. The exhibition was to present four different Public Art projects that took place in New South Wales – Denman (Interpretative Signage Walk), Singleton (River Sculpture), Merriwa (RMB 2329: Merriwa Public Art Project) and Gloucester (10.000 Steps Interpretative Sculpture Walk). 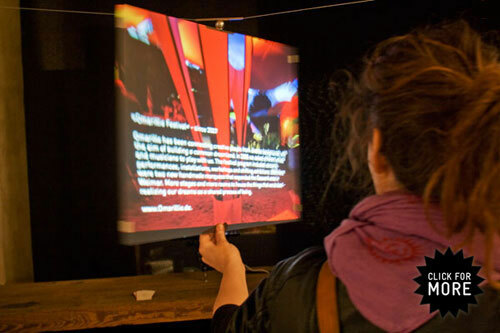 Every project has been made in collaboration with communities and was shown in modified forms as a unified exhibition. As you can see on the last news, we designed the website for 123-Istanbul. But thats just half the truth. We also made Motion and On-Air-Design for the whole TV-Show. Watch at least the first episode of 123-Istanbul on February 18th at 3sat to see some waggly animations. 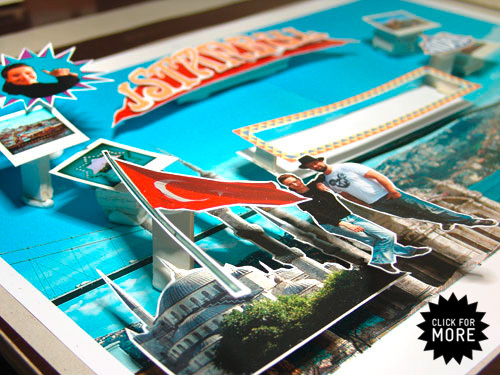 At the end of 2008 we were invited to design the website for MonstaMovies new TV-Show 123-Istanbul at 3sat. We’ve been cutting and gluing and at the end there were a lot of wild websites made out of paper. After we took pictures of the paper-sculptures we gave the data to Frank of OM1 Media to make the crazy paper-GIF moving. See for yourself what we accomplished at 123-Istanbul. For our long term client RApin AG we had to come up with a Christmas present concept. 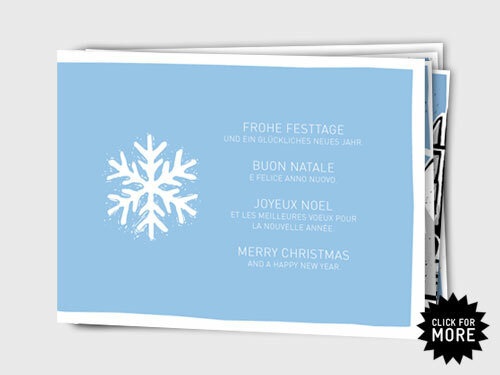 We thought about all the people who have to send greetings at christmas time and came up with postcards. The whole package (not in the picture yet) contains three illustrated postcards you can send to anyone you like; presented in an envelope, inside a nice box, with an expensive pen. So you see: YouAreWatchingUs also does illustrations and packaging. 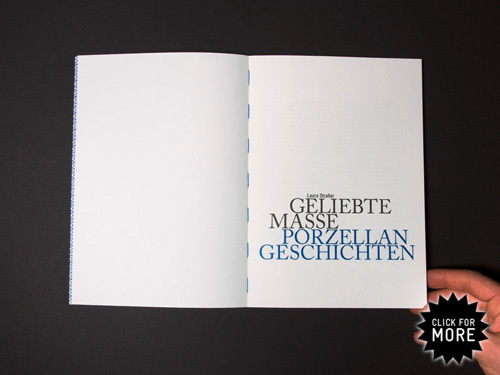 YouAreWatchingUs’s KaiM made a Book and it’s in german. So this news will use the same language as well. Wir schreiben das Jahr 2007. Generationen haben versucht, den Weihnachtsmann mit glänzenden Augen und süßer klingenden Glocken zu beeindrucken, was nicht selten mit Krawatten oder Socken endete. Statt dem ewigen »Lieber guter Weihnachtsmann« bringt »Abgebrannt« endlich die nötige Abwechslung in die Tradition der Weihnachtsgedichte. 24 illustrierte Reime, die sich mit festlichen Themen wie fettigem Essen, gerechten Strafen für unartige Kinder und Stiefelfetisch auseinandersetzen und jahresendzeitliche Gemütlichkeitssymbole Stück für Stück genüsslich abfackeln. 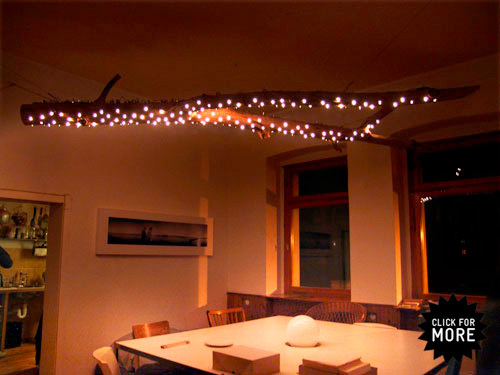 Ob im Angesicht des Weihnachtsmannes oder im Kreise der Familie, »Abgebrannt« macht aus der stillen eine fröhliche Nacht. 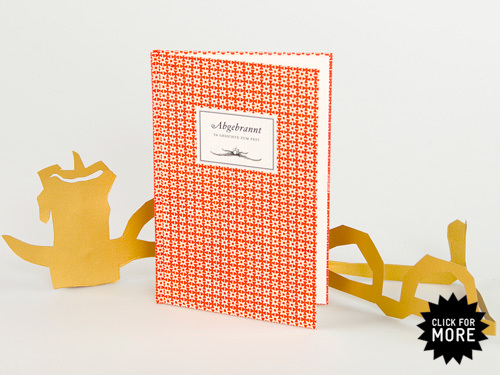 52 Seiten, Hardcover mit italienischem Buntpapier, fadengeheftet und handsigniert gibt es noch bis zum 24. Dezember exklusiv bei www.lieber-guter-weihnachtsmann.de. At the moment Ramon Grendene, the swiss arm of YouAreWatchingUs, is collaborating with the australian artist Tricia Flanagan on her upcoming exhibition in Sydney. 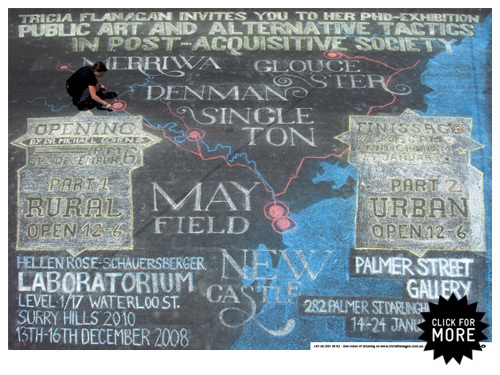 To make a connection to the theme of distances, as well as to several driving sequences in the exhibition the invitation card was a map drawn in chalk 10m by 10m on a street. As the camera couldn't get high enough to capture the image straight the whole artwork needed to be drawn in perspective. (We tried our best). Even with the help of our neighbours Rowena Foong & Kit Messham-Muir, we ran out of light on Sunday, so at first light on Monday we began again and finalised it during buisness hours with a lot of traffic that made the thing illegible. We got invited to ARS Electronica the internationally unique platform for digital art and media culture. Together with our friends Pentatones we performed »The preENTER Session« within the scope of the »Sonorous Embodiment« concert night at Brucknerhaus. Lets say it was big! A big festival with a big stage for big dreams. Have a look on the preENTER website. Thank you ARS and thank you Noga for the delightful glitter on our faces. More than a year ago we had an inquiry to work on a new Corporate Design for RAlpin (The Rolling Highway) which is an international renowned company that carries trucks by train. RAlpin offers the fastest and most comfortable way to cross Switzerland with any shipment and without having to drive the vehicle. Various logo proposals resulted in the most dynamic solution. 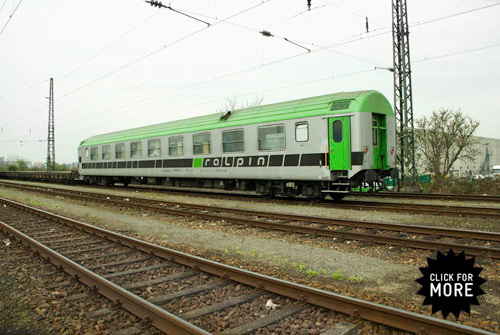 Throughout all RAlpin related material (Stationary, Brochures, Annual Reports, Advertisements, Passenger’s Car, Signage, Style Manual etc.) the logo is constantly changing its appearance by shifting the elements and by choosing one of six possible word concepts. More than this we adapted the logo and its elements in various ways to design all the products. We would like to thank CEO René Dancet for his confidence and Jan Gerner for mastering the RAlpin Font. From now on all the people at RAlpin can easily write different logo combinations. 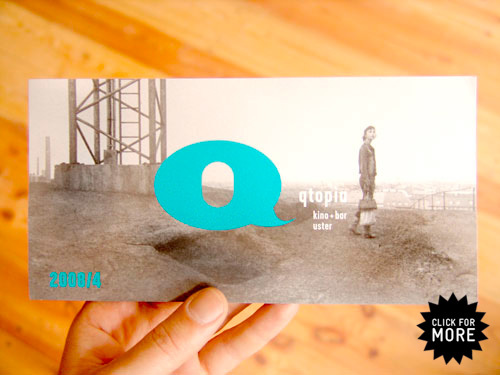 At last we brought the redesign for the lovely Swiss studio-cinema Qtopia into print. Usually a grid needs to fit just for one-time use, for example in a brochure or book. For a program like this that is published over and over, every-time with different information, (title lengths, dates, number of films) the grid needs to have flexibility. For this we worked out a structure that is able to incorporate all the information in future. In fact the title lengths act as a rule guiding how they will be typeset. Following certain rules every program will look different without loosing its identity. On the front a vertical axis in chronological order lets you find the film immediately. If you want to read more about your desired film all the information is given on the back. One of our collaborative projects is reaching for the stars again. Omarillio, is just a few steps away. 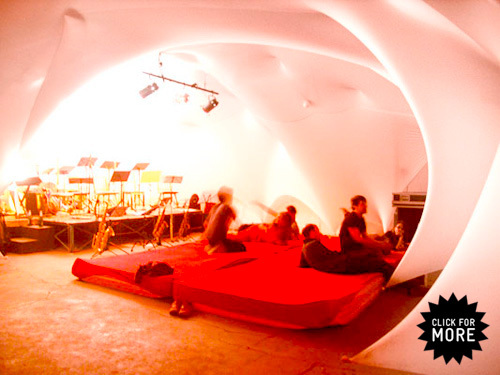 Since 2007, Omarillo has been connecting creative people from diverse backgrounds, with the aim of building a common dreamland. Unlike last year, where the artists registered with scored cards, this year we asked different artists and musicians to play with us. 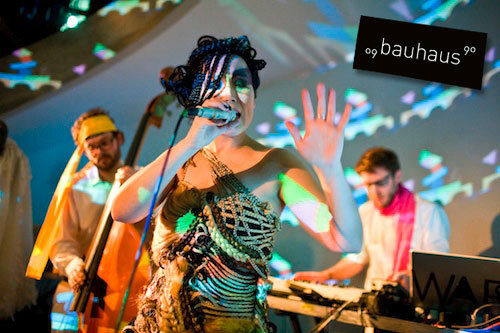 The festival program includes concerts, performances, installations, workshops and shifting exhibitions. Plus there are 2 new handmade marquees that expand the Gaswerk area. More stages and more rooms to house the things that we do best - realizing our dreams as a shared process of being. After one year of planning, experimenting, building and rehearsing - a new and expansive multimedia project will see the light of day. 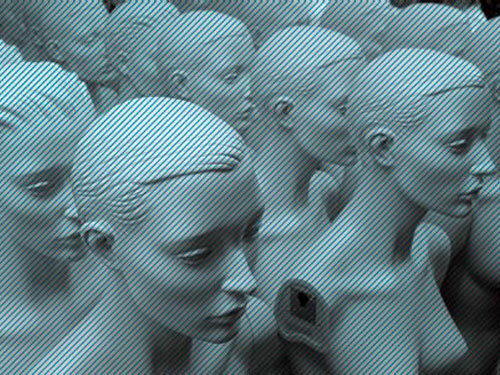 The Monoculture journey explores the phenomenon of replication and questions, where does individual liberty end and uniformity begin? In collaboration with the Deutsche National Theater Weimar this project is the diploma of Timm Burkhardt (Master Of Science YouAreWatchingUs) and Julian Hetzel (Head of the Band Pentatones). Read more on the website. After weeks of folding, painting and installing birds on the spot, we are finally done! The installation will be on display for the rest of the year and can either be viewed at the exhibition space Marke30773047.6 or be accessed online at the brand new website Made Dove Not War.